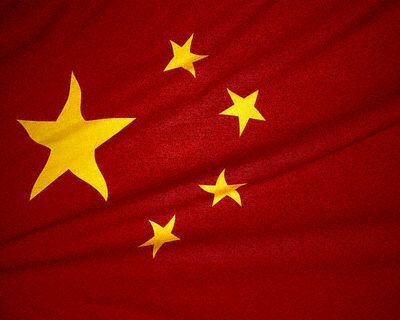 China hopes to launch a homegrown operating system by October to wean the country from foreign-made OSs like Windows, the government-run Xinhua news agency said Sunday. The operating system, which Xinhua did not name, will be initially offered on desktop PCs, with the plan to later extend it to smartphones. The news service cited a report in the People's Post and Telecommunications News, a trade paper run by the Ministry of Industry and Information Technology (MIIT), the agency responsible for, among other things, the regulation and development of China's software industry. "We hope to launch a Chinese-made desktop operating system by October supporting app stores," Ni Guangnan of the Chinese Academy of Engineering, told the trade paper, according to a translation by Reuters on Sunday. Ni leads an official operating system development alliance established in March by the People's Republic of China (PRC). According to the People's Post and Telecommunications News, Ni cited the end of Windows XP support and the ban on Windows 8 on government computers as giving domestic OS developers an opening. Historically, China has been a stronghold of Windows XP, in large part because of massive piracy of Microsoft's software. China has long been at odds with foreign technology firms, particularly Microsoft and Google -- but also at times with Apple -- over their impact and influence in the country. But that animus increased significantly last month when government antitrust regulators raided several Microsoft offices, seizing computers and documents in a first step of an investigation. The probe had been prompted by complaints lodged since July 2013 about how Windows and Microsoft Office are bundled, about Windows-Office compatibility and about other unnamed concerns. The People's Post and Telecommunications News' story (Chinese language version) cited by Xinhua ran on Thursday, and provided more detail about the domestic OS plans. Ni spelled out a timeline that could replace foreign operating systems on the desktop in one to two years, then in three to five years expand to mobile devices. Private industry, Ni added, may co-fund development of the home-grown OS. "Creating an environment that allows us to compete with Google, Apple and Microsoft, that is our key to success," Ni said. China has worked on a its own OS before: In 2000, Red Flag Linux, which was funded in part by the government's Ministry of Information, was released. Later that year, Red Flag was mandated as the replacement for Windows 2000 on all government PCs. Tensions at the time between China's government and Microsoft were at the root of that order. Red Flag never took off, and the company backing it shuttered earlier this year. But Red Flag -- the OS, not the company -- will be resurrected. In a Wednesday, Aug. 20 report by the People's Post and Telecommunications News (Chinese language), the trade publication noted the acquisition of Red Flag Software's assets by Penta Wan Jing Information Technology Industry Group for 38.62 million yuan ($6.3 million). That story also quoted Ni, who approved of the Penta Wan Jing acquisition and said a revitalized Red Flag could contribute to the plan to create a domestic OS.